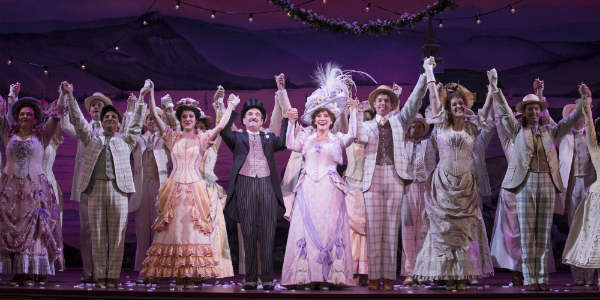 This may have been a touring production of Hello, Dolly!, but it was as big and exuberant as any show on Broadway, with a top notch cast and high production values. 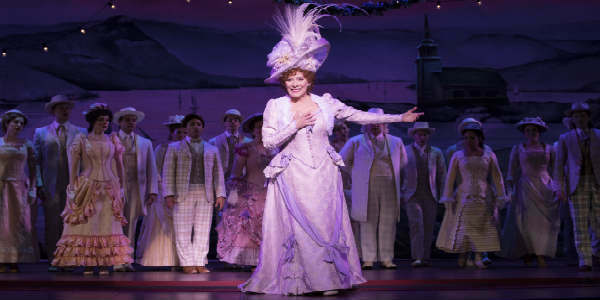 Buckley, in the lead role of Miss Dolly Gallagher Levi, a meddling matchmaker, truly embodied the character with all the joy and desperation and bravado it deserved. And hilarity – as best evidenced in a scene involving Dolly eating a turkey dinner. Her voice, a little worn at the edges from touring, still made good use of the Walt Disney Theater’s acoustics and was full of emotion…and a twinkle of mischief at times. She was also backed by a strong cast: Lewis J. Stadlen as Grouchy businessman Horace Vandergelder; Nic Rouleau and Jess LeProtto as his adventure-seeking clerks Cornelius and Barnaby; Analisa Leaming as young widow Irene Molloy; and Kristen Hahn as Minney Fay, Irene’s assistant. Nic Rouleau and Jess LeProtto also deserve major kudos. Rouleau for his strong voice and LeProtto for his spirited dancing. 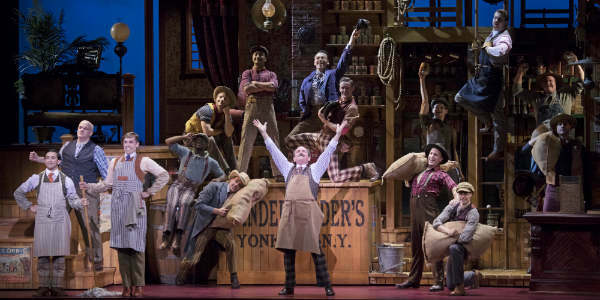 In fact the dancers themselves deserve a nod, especially for their timing on the show’s lengthy centerpiece, “Waiters’ Gallop.” I was exhausted just watching them. 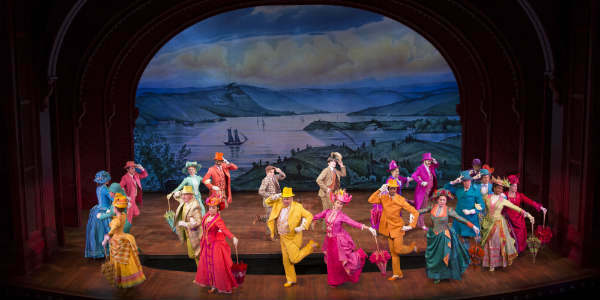 If you love classic musicals, you definitely won’t want to miss Hello, Dolly! while it’s in Orlando this week, through December 2. Ticket are available online at DrPhillipsCenter.org.